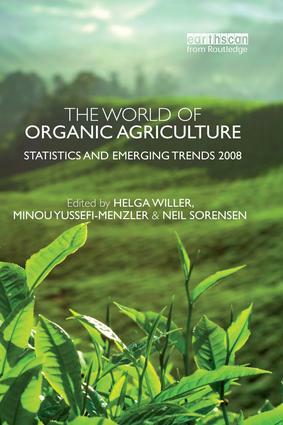 Helga Willer is at the Research Institute of Organic Agriculture FiBL, Frick, Switzerland. Minou Yussefi-Menzler is at the Foundation Ecology and Agriculture (SOEL), Bad Duerkheim, Germany. Neil Sorensen is at the International Federation of Organic Agriculture Movements (IFOAM), Bonn, Germany.